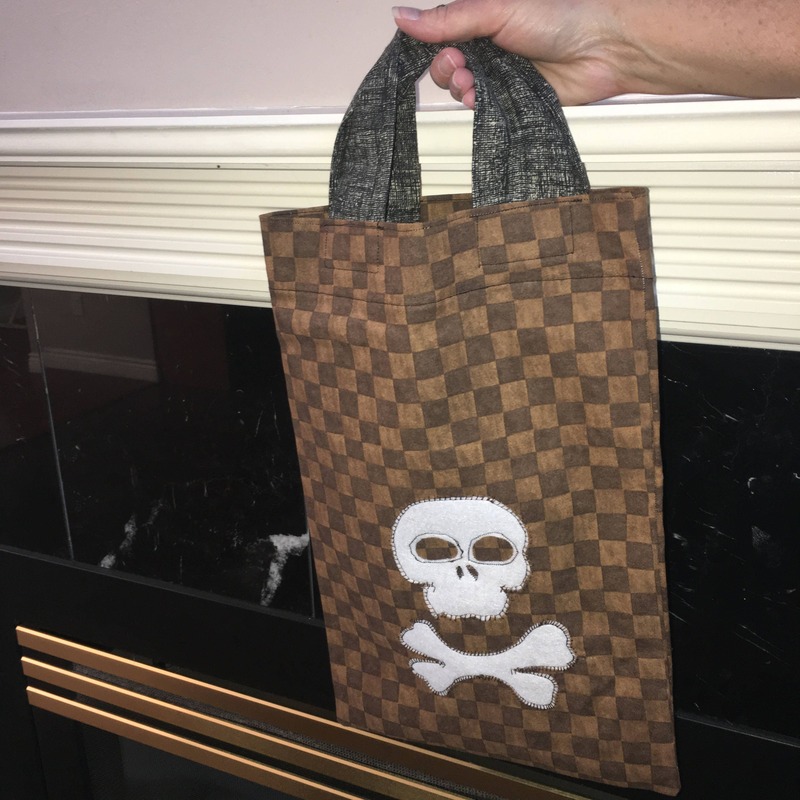 This is a Pirate Booty Tote Bag for a pirate costume or Halloween Trick or Treat Bag. 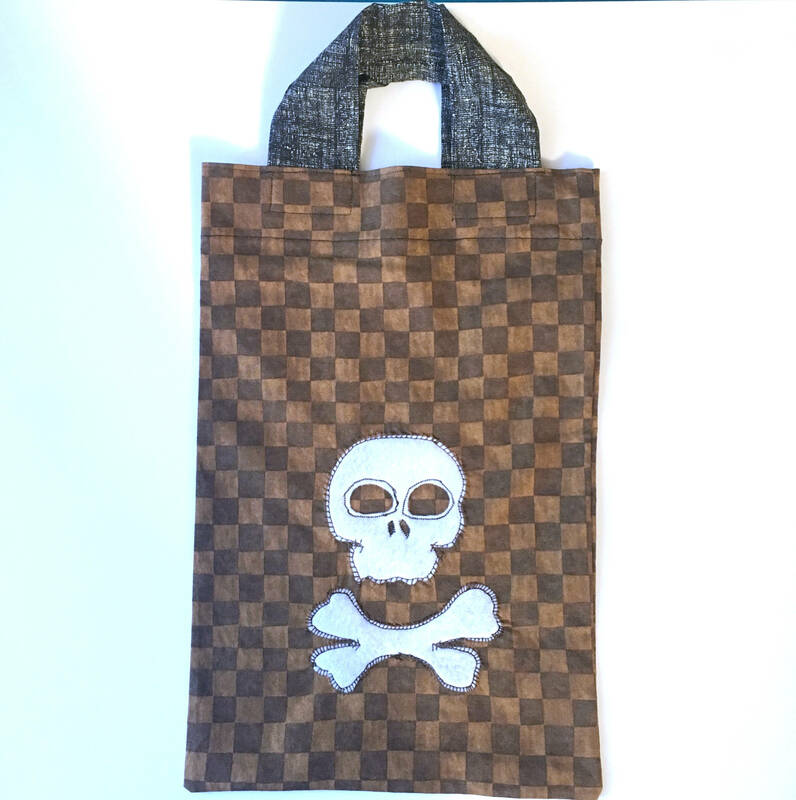 The bag is made with a two tone brown check cotton fabric with a felt applique Pirate Skull and Cross Bones and it has black crosshatch cotton fabric handles. The fabric is 100% cotton. Made from rescued fabric scraps. 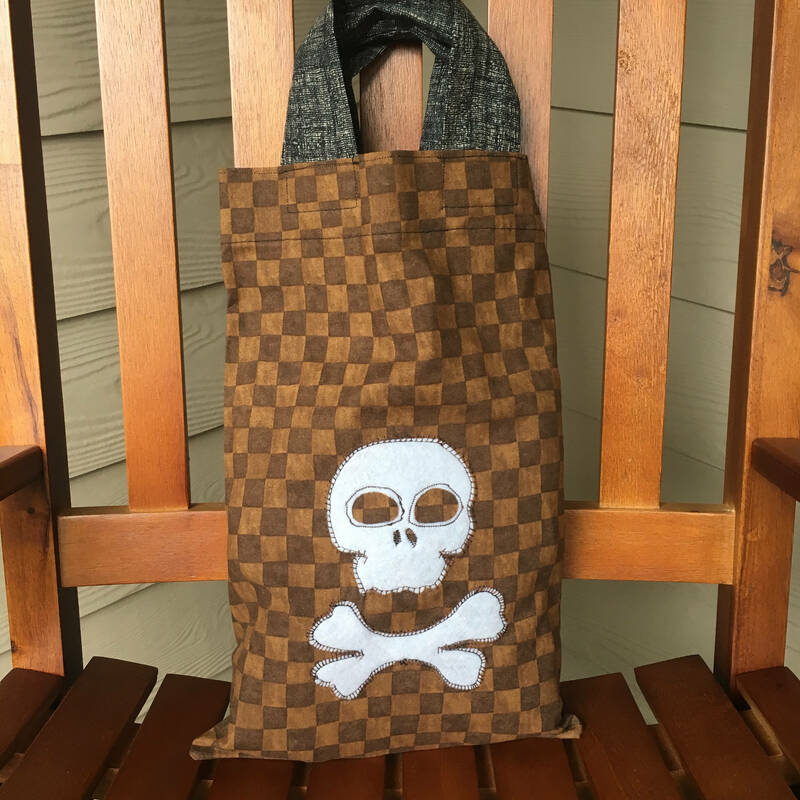 Perfect bag to match a pirate costume. 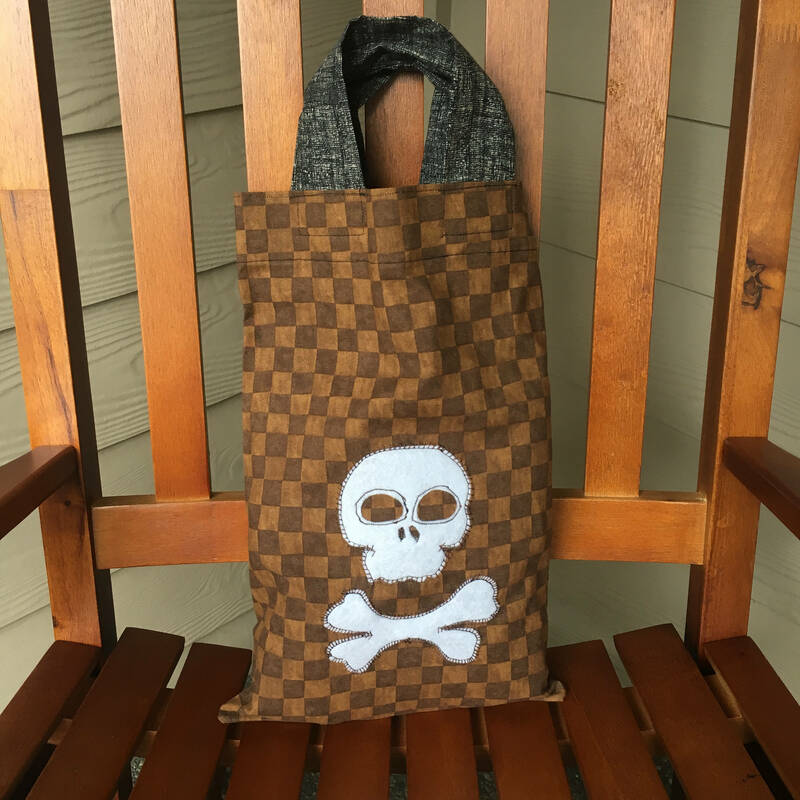 This is a fun tote bag that can be used year after year and continue to be used for many other purposes. The up-cycled, recycled, reusable, green choice in gift wrap. I store and process your information through third-party hosting services in the US. As a result, I may transfer your personal information to a jurisdiction with different data protection and government surveillance laws than your jurisdiction. If I am deemed to transfer information about you outside of the EU, I rely on Privacy Shield as the legal basis for the transfer, as Google Cloud is Privacy Shield certified. For purposes of EU data protection law, I, Dana Romney, am the data controller of your personal information. 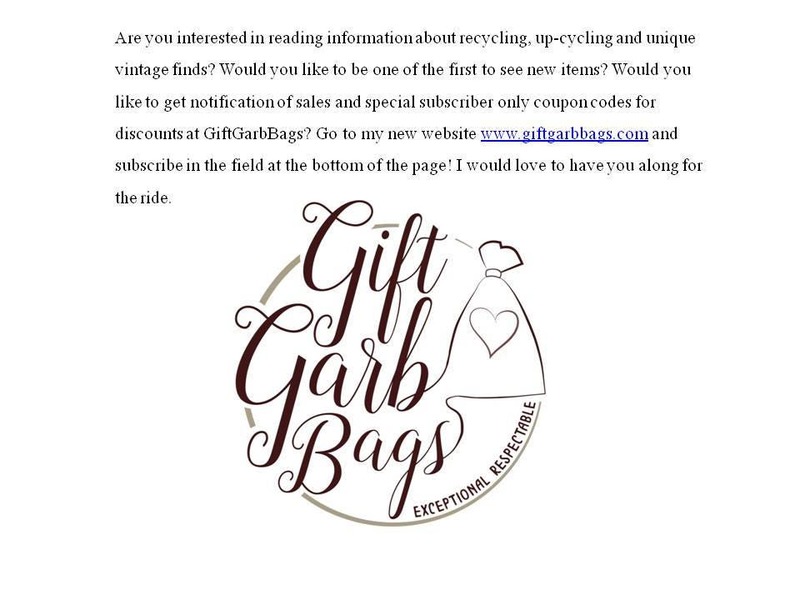 If you have any questions or concerns, you may contact me at giftgarbbags@gmail.com. 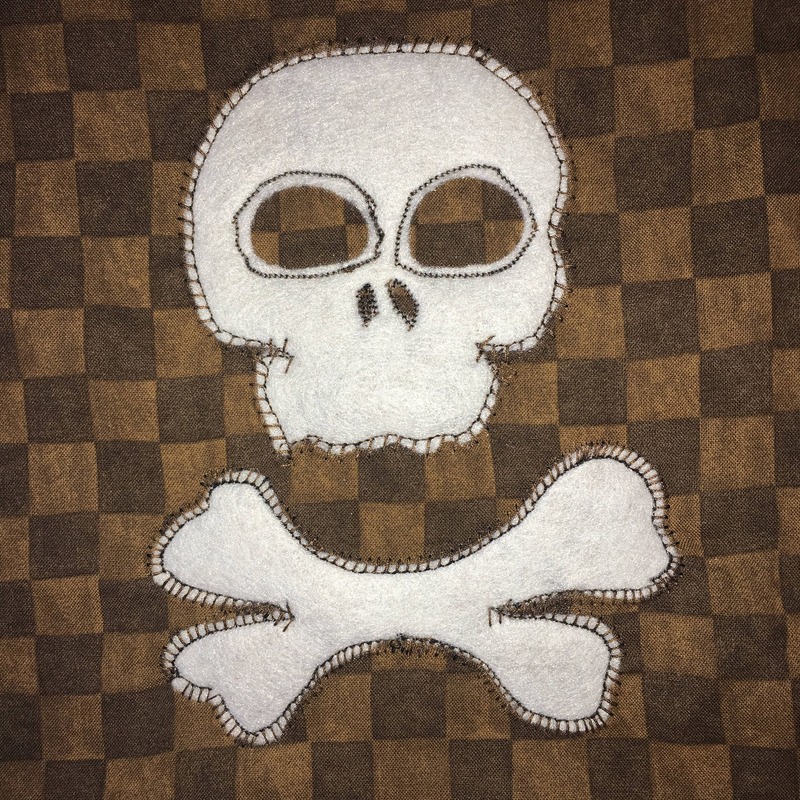 I will do custom orders with fabric I source or using your fabric. Contact me with details of what you would like and I will let you know if I can do it for you and I will give you an estimate on price and time to ship. Because all of the bags are from made from second hand fabric sources I cannot tell you for sure exactly how to care for them if they for some reason need to be washed. I will include the fabric content to the best of my knowledge in each listing. Most fabrics can be spot cleaned with a damp cloth and most of the fabrics I source can be carefully hand-washed and hung dry. I clean everything that I use to make the bags. 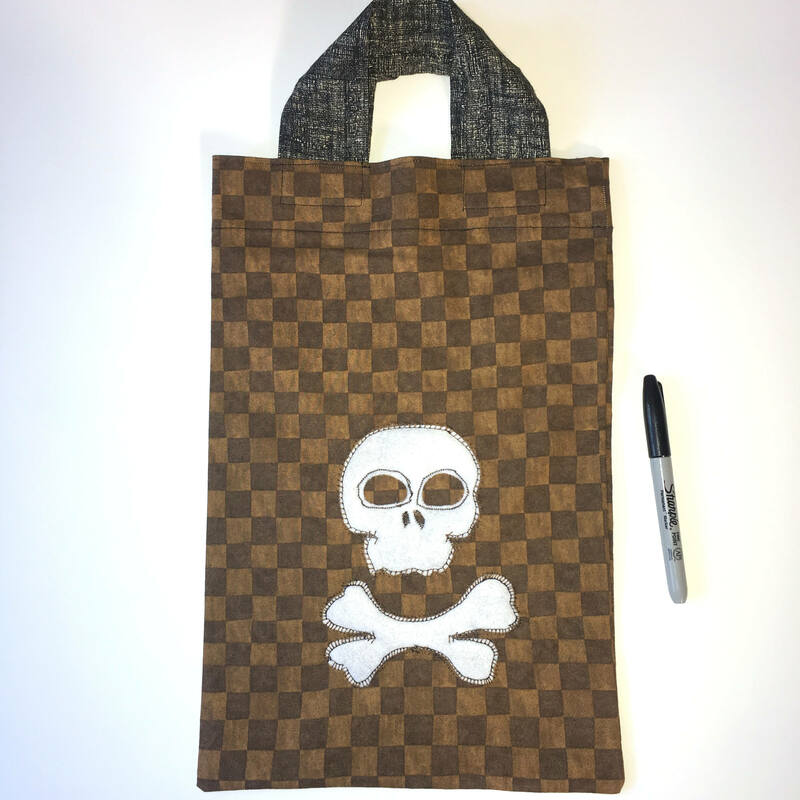 The bags are made in a pet free/smoke free environment, however because I am using recycled materials, I cannot know the complete history of the fabrics. I do not source soiled, smoke smelling or pet hair covered items and I wash the fabrics before use. For vintage items, refer to the listing for any care instructions. 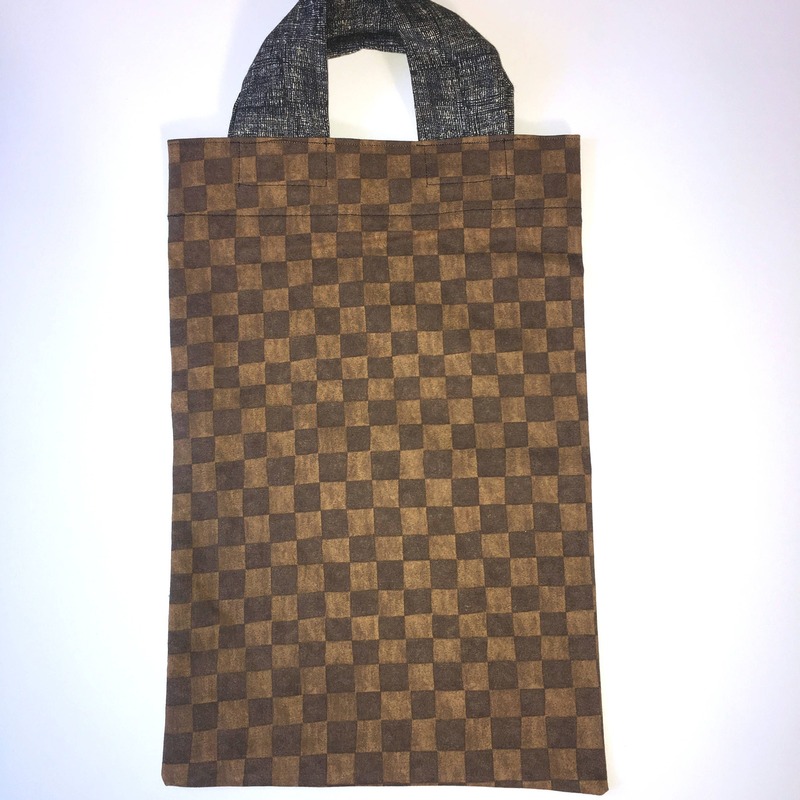 Your items will be carefully shipped, however since my focus is up-cycling and recycling, any additional packaging paper or notes will be from recycled sources, not new. I do not offer gift wrapping since this is technically what I am selling. ;-) but I am willing to wrap a vintage item in one of my fabric gift bags for you if you buy them together. 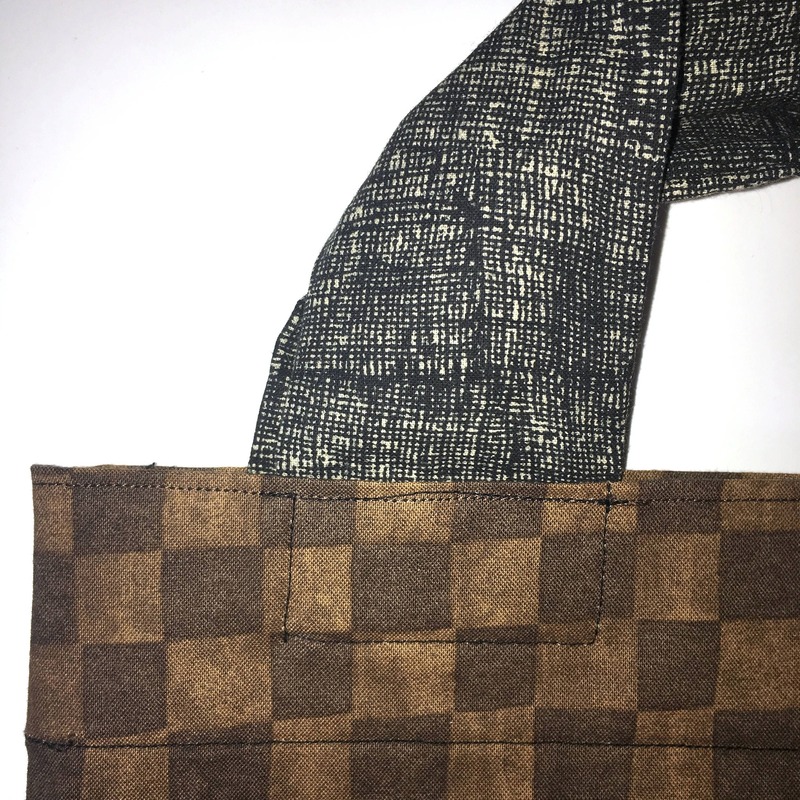 I will do my best to measure describe and give you the sizes of the bags and vintage items, but because they are all unique and or hand-made, sizes may vary slightly. Thanks for understanding the uniqueness and characteristics of vintage, up-cycled and re-cycled items. 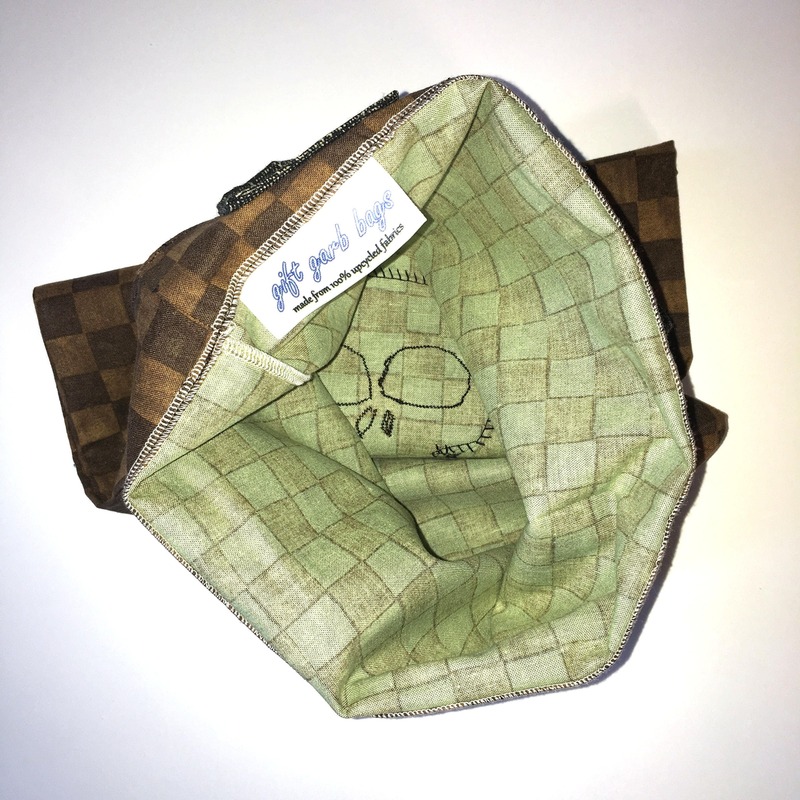 Because our products are vintage and upcycled and one of a kind we do not accept refunds after payment has been received. Please shop carefully. I am happy to refund or exchange with a similar item if something unseen happens that was caused by us. The buyer cannot make any changes or alterations to the item in order for a return. Item must be returned in the same condition as when shipped. Buyers are responsible for return shipping costs If the item is not returned in its original condition to include any tags or original packaging, the buyer is responsible for any loss in value. If you live close to me and I know you and you want to pick your items up so you do not have to pay shipping, please message me or get a hold of me before putting the listing in your cart and I will reserve the listing for you and change the shipping. If you order multiple listings at the same time please refer to the shipping information listed in the details. I will happily combine shipping and reimburse you any shipping overages. Any order that weighs more than 15.99 oz, for US shipping will need to be shipped in a priority mail box. The shipping should reflect that.